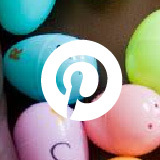 This post originally appeared on the blog Ashleigh’s Education Journey. 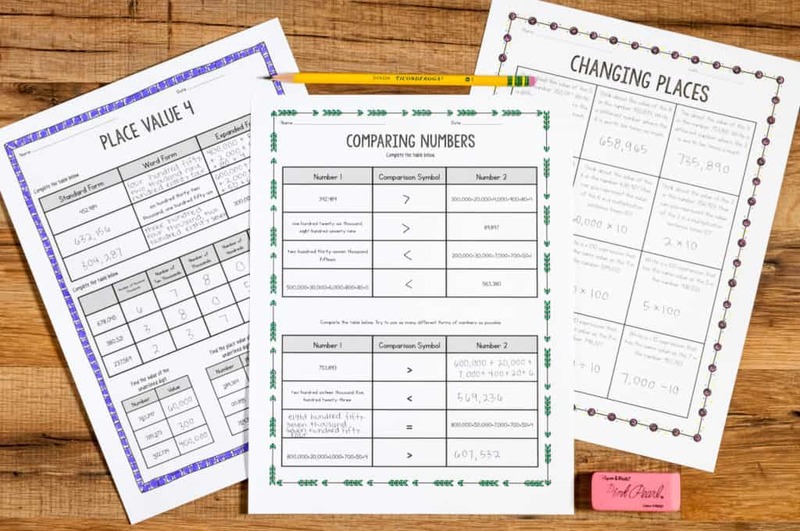 Over the years, I’ve had several requests for 4th grade math units that were written in the same style as my third math units. 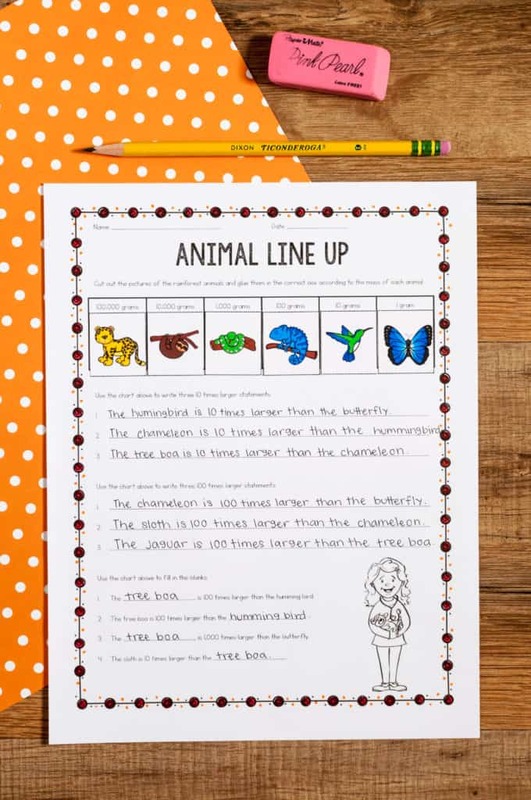 The 3rd grade units were a massive undertaking for me, and I kept finding new things I needed for my students and could never carve out the time. Then, once I found that I would be teaching 4th grade I immediately went into overdrive and started working on 4th grade math units. 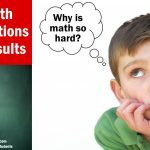 My 3rd grade units were the backbone of my math instruction, and I want to maintain my same style, technique, and organization in my 4th grade curriculum. 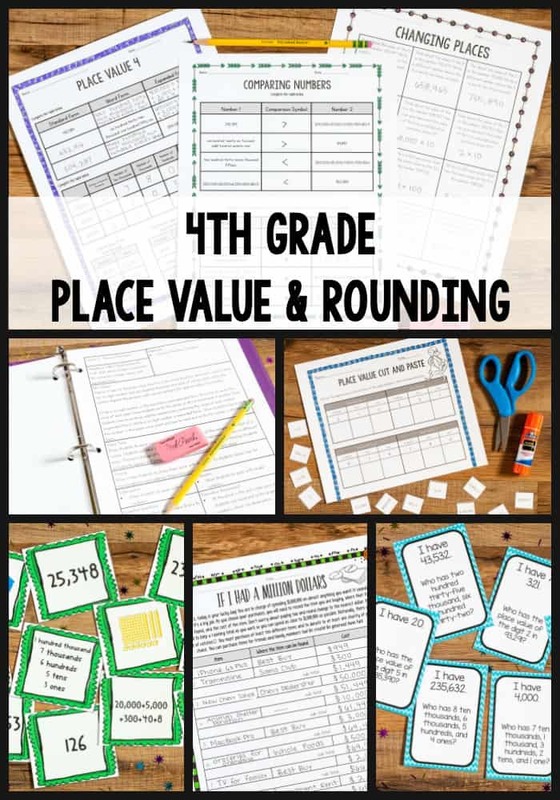 I used my planning guide to develop the first 4th grade math unit, which is centered around place value and rounding. 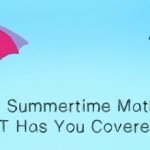 The first unit is a three-week unit that teaches place value, value of digits, forms of numbers, and rounding. I included a Unit at a Glance to help with the pacing of the unit. 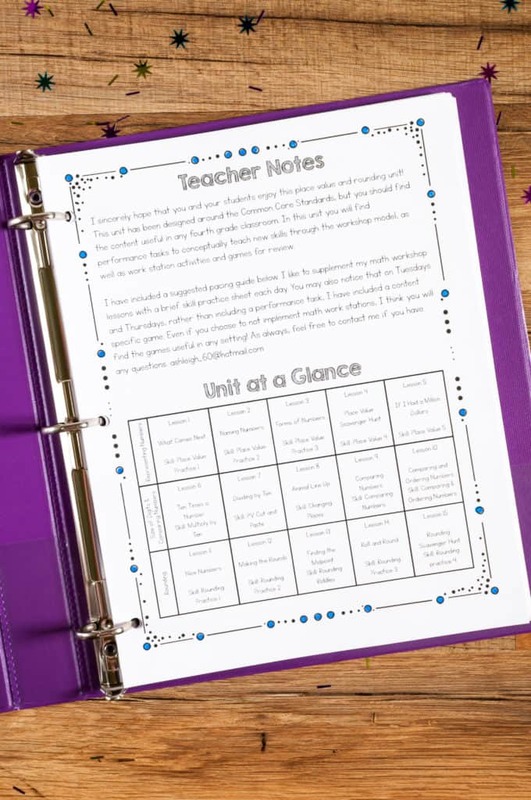 In the Unit at a Glance, you can see that there is one math workshop lesson each day, as well as an optional skills practice worksheet that can be used during a skills block, homework, or any other time of your choice. For each lesson, I’ve written a formal lesson plan. In each lesson plan I included the title, standard, and materials needed for the lesson. 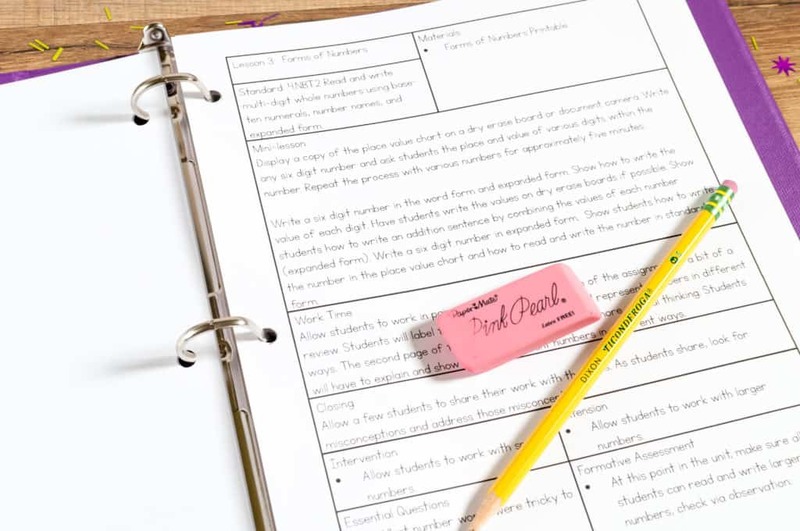 The bulk of the lesson plan is written in a math workshop format. In the mini lesson, a skill is briefly introduced. During this time, I may introduce a new concept, skill, or vocabulary term, or students may briefly review what was taught in the previous lesson. In the work time section, I describe students’ performance task. 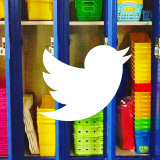 I’ve tried to create tasks that were engaging, conceptual, and rigorous. I love using resources such as Van De Walle, Marzano, and Tang to develop my math performance tasks. I want my tasks to be open-ended if possible, allow for good math conversations, and to be conceptual in nature. In the closing, students share their solutions to the task. I also included ideas for intervention and extension, essential questions, and formative assessment. For each performance task and lesson, I included all necessary printables. 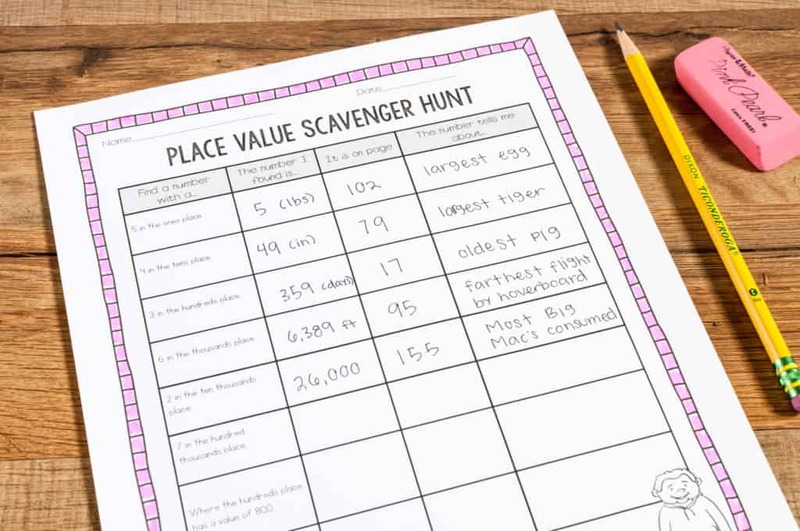 I did create all new lessons from my 3rd Grade Place Value Unit, except my Place Value Scavenger Hunt. I just couldn’t leave that one out! I did increase the size of the numbers I used to make it a little more challenging. The other 14 activities are all brand-new! 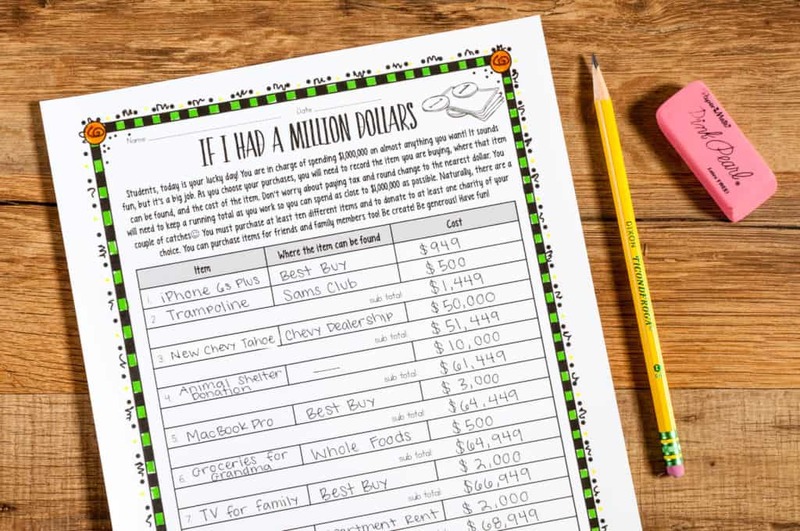 I’m very excited about the million dollar task where students decide how they would spend a million dollars. I’m going to use this activity to encourage generous thinking and encourage students to think about how they could help others. If my students have trouble with the addition portion of this lesson, I’ll either have them estimate or allow them to use a calculator. 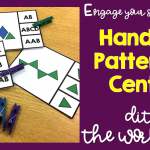 It took me awhile to develop lessons that would help students understand the size of digits. I know that I could quickly teach multiplication tricks, but I wanted my students to understand the how and the why behind the math. I included a skills practice printable the corresponds to each of the lessons. The pages range from representing numbers, place value, comparing numbers, size of numbers, and rounding. I also made sure I included games that could be used in math work stations or math centers. I incorporate math work stations on Tuesdays and Thursdays, so I knew that I would need a few games to add to my stations. 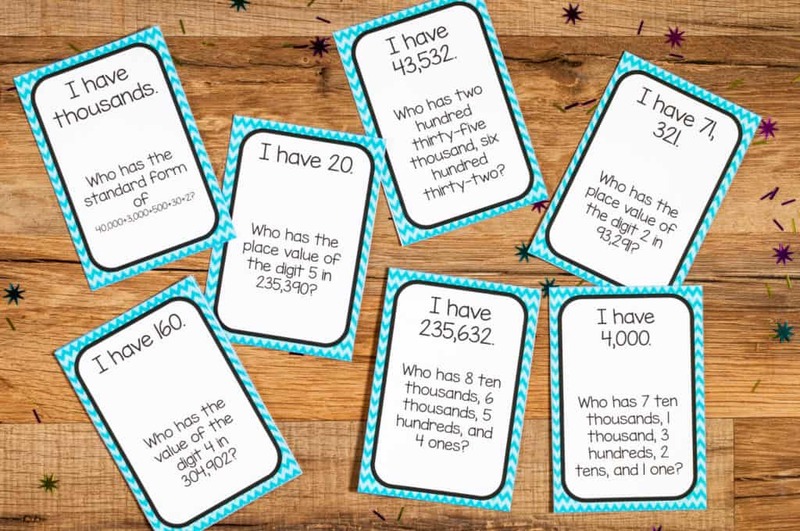 I made a 4th grade version of I Have Who Has, because that was always a class favorite for my 3rd graders. In this version, the numbers go all the way through the hundred thousands place. I also included a rounding game and Place Value Concentration. 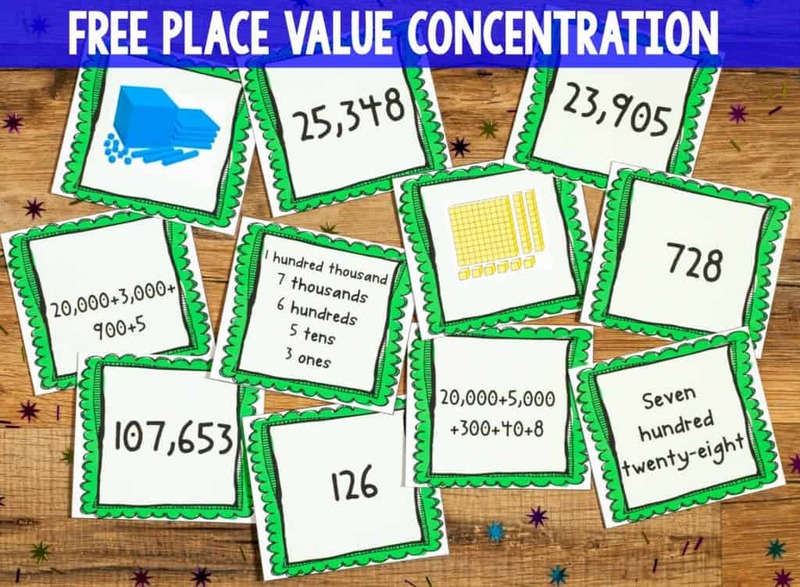 If you’d like to try out Place Value Concentration (Place Value Memory), you can download it here! If you’d like to see the whole file on TpT, you can use this link. I’m thisclose to being ready to post my second 4th grade math unit on addition and subtraction. It’s one of my new favorites! PLUS, to make sure I didn’t disappoint 3rd grade teachers, I made a 3rd AND 4th grade version of that unit!! Ashleigh has taught 3rd and 4th grade for 13 years. She is currently teaching 3rd grade and loves finding new ways to motivate and inspire her students. She has a Master’s in Curriculum and Instruction and is a Specialist in Brain Research. Ashleigh has been married for 13 years, and her 6-year-old and 3-year-old keep her busy. 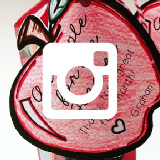 You can visit Ashleigh at her TpT store, on Facebook, and on Instagram. 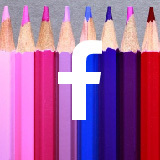 Or stop by her blog, Ashleigh’s Education Journey.